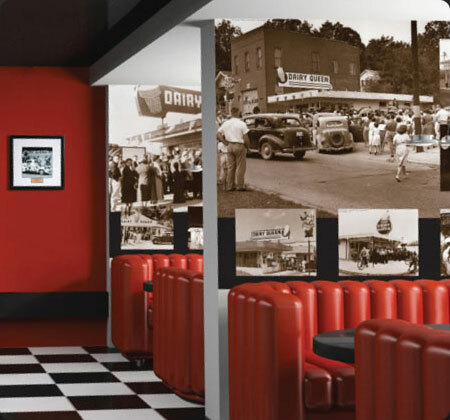 As one of the largest franchise operated restaurant establishments, International Dairy Queen needed a solution to quickly expand its franchise resources to encompass a growing desire for materials in a print-on-demand setting. 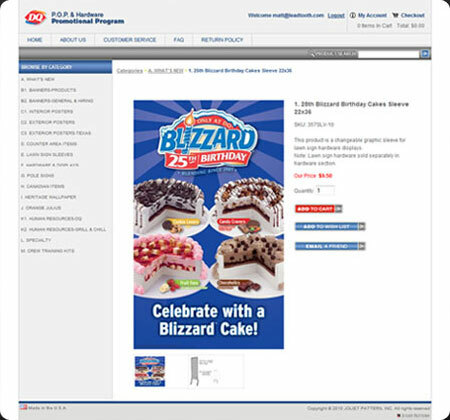 As Joliet Pattern's partnership with Dairy Queen evolved, so did the opportunity to become the number one supplier of large format digital and screen printed promotional materials to their franchises - and with that responsibility came the DQ Print-On-Demand online store, managed on site at Joliet Pattern, allowing franchise owners to log in and purchase items online. 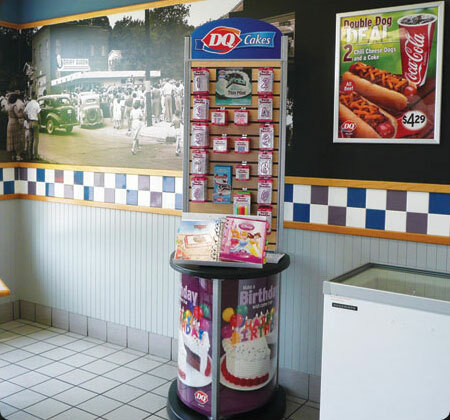 Since its completion, the DQ Print-On-Demand store has been a vital outlet for Dairy Queen franchisees to not only stay current with new product and promotional material roll-outs, but to outfit their own store with tailored materials suiting their market, and create custom products not found anywhere else.